Add a touch of elegance to your traditional bathroom with a beautiful Kensington bathroom vanity from Ariel Bath. 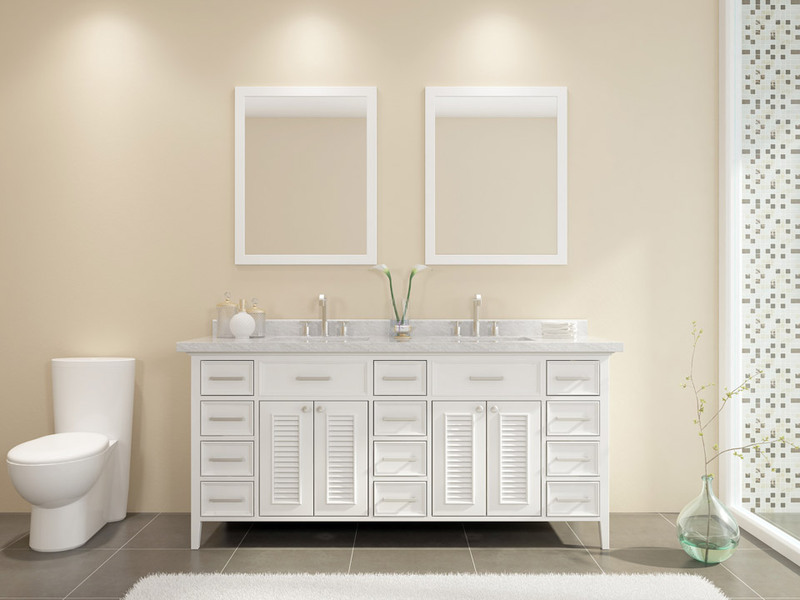 The Kensington series features solid wood cabinets with matching framed mirrors and white carrara marble countertops. These vanities will be sure to add style and storage to your bathroom décor.